What can Sessions be used for? The Session Wizard is not just for sessions! 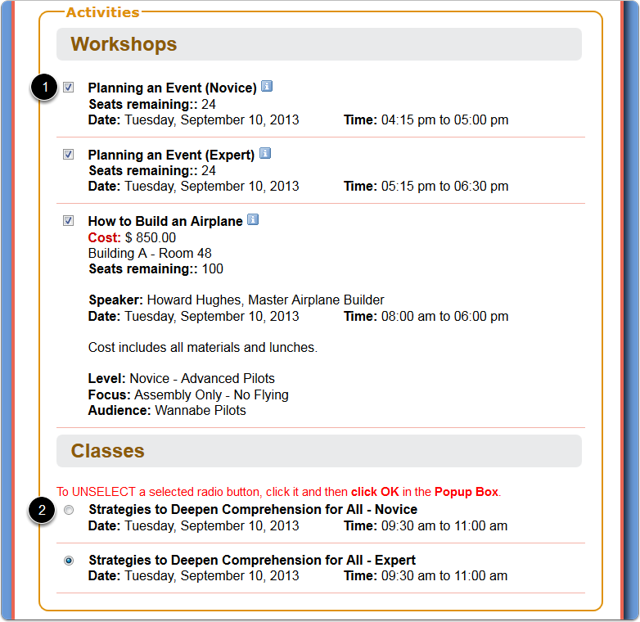 It can be used to organize classes, workshops, training locations, road tours and event activities. Think of a session as "an event within an event." Radio buttons - which allows ONLY 1 selection from within the Group. 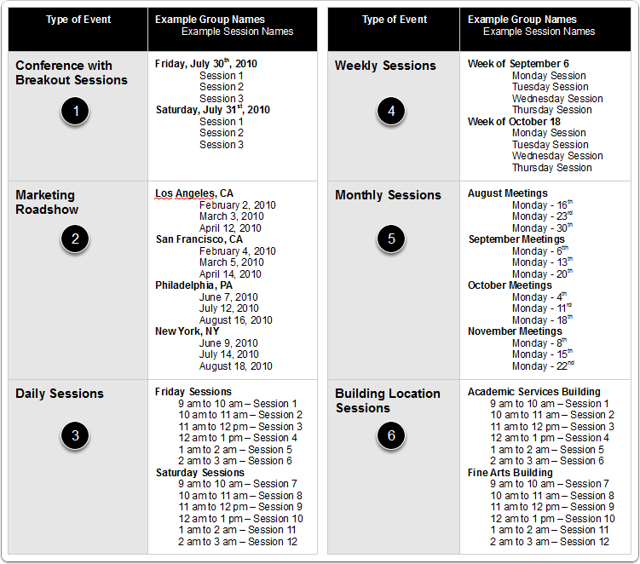 Next: How do I decide how to Group my Sessions?